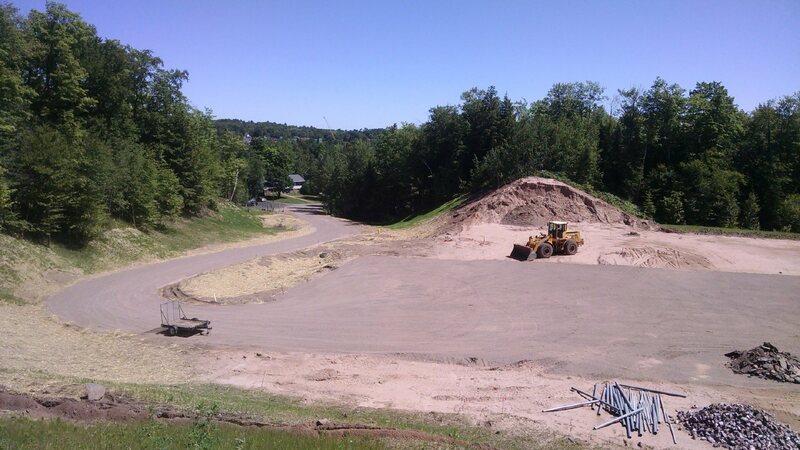 Velodrome Coffee, Bee Mystery, Trillium Triumph, Munising Mountain Biking, the Grove Transformed, and Delta Loves the U.P. COFFEETOWN USA. THAT’S what Marquette is becoming. Yet another coffee shop is scheduled to open in town later this summer. This one, on West Washington Street across from the Marquette Food Co-op, is Velodrome Coffee Company, the creation of Brice Sturmer and his wife Teagan. He’s from Green Bay, she’s from Channing and also a graduate of NMU. 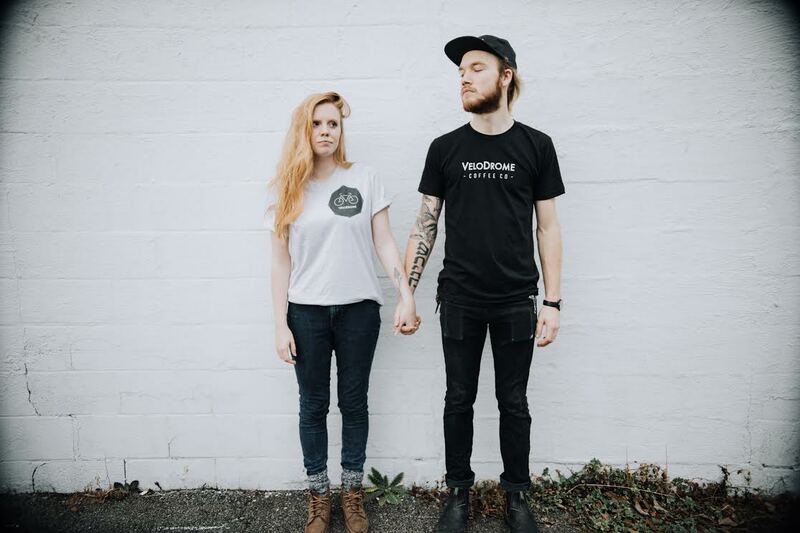 They’ve been in Tennessee the last couple of years but have wanted to relocate to Marquette–the biking, hiking, skiing, kayaking, outdoorsy thing–so they’re doing it, and investing in a shop and a roaster. Serious coffee from single farms, Brice says. He’s visited a dozen farms in Nicaragua, Honduras and Guatemala over the last several years. 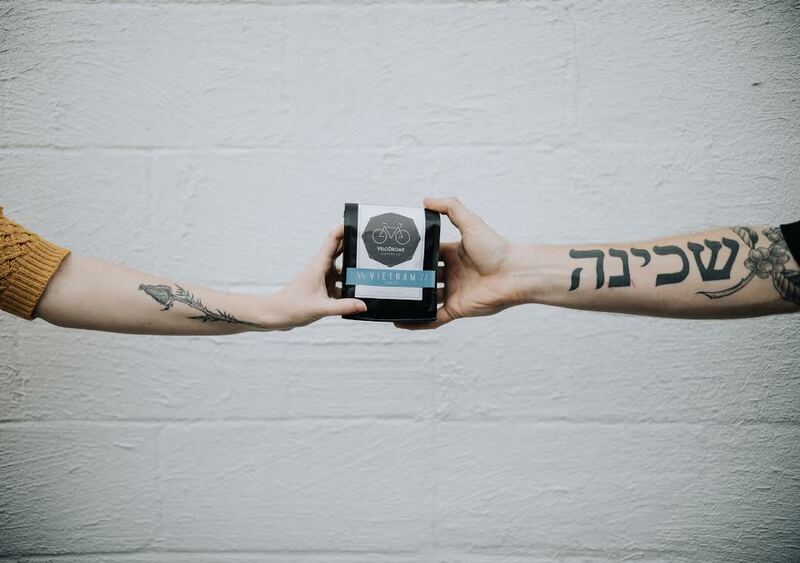 They’ve been selling their coffee online for the last six months. Velodrome’s arrival will coincide with Contrast Coffee’s later this summer on Third Street. And of course, they’re joining Dead River, Babycakes, Huron Mountain, Third Street Bagel, and Java Bay in town, along with Starbucks and Biggby out on the highway. But seriously, who doesn’t like coffee shops? THE NEWS COMING out of the Upper Peninsula Children’s Museum is a little disturbing. No, not the museum, itself, and not the kids. They’re doing great. It’s the bees. The museum for the last several years has essentially adopted a beehive every spring. The bees can enter and exit the hive from the outside, and we can all watch them from the inside. Cute. As many as 10,000 bees buzzing about, doing their bee business. But a couple of weeks ago, the staff walked in and noticed that close to half of the bees had died. Apparently overnight. Nothing like that had ever happened. 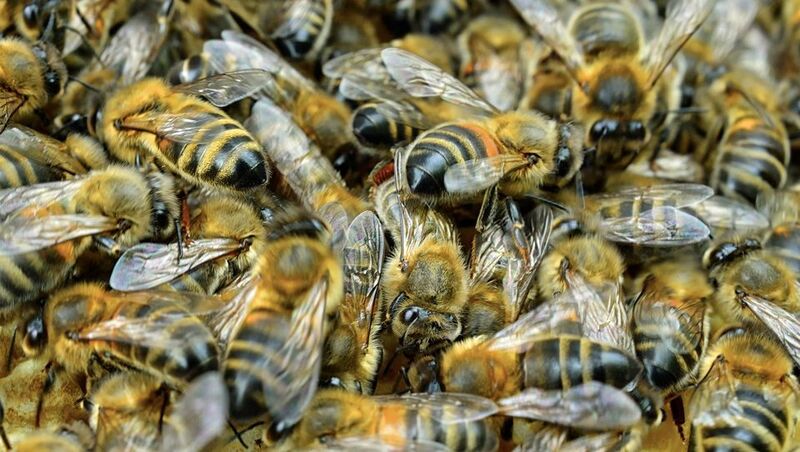 Beekeeper Joel Lantz believes the mass deaths were almost certainly caused by the bees’ exposure to a pesticide or herbicide. Maybe someone had just sprayed a yard that the bees like to visit? We’ve been told this could be a national if not global crisis. Between April 2015 and April 2016, beekeepers in the U.S. lost 44% of their colonies. The Food and Agriculture Organization of the United Nations estimates that one third of all the food the world eats is pollinated by bees. So yeah, they’re kinda important. The museum’s beehive is now recovering out in the country under Lantz’s watchful eye. It’ll likely return to the museum within a couple of weeks. Let’s go easy on the herbicides and pesticides. THIS IS HOW a community is supposed to work. Five years ago, retired physician Dan Mazzuchi, who was volunteering for a hospice organization, came to realize that many patients with terminal illnesses in the central UP had no place to go, no one to be with them. Family and volunteers could visit regularly, but for 16-18 hours a day, they were alone. Often in dire conditions. And dying. Mazzuchi talked to doctors and workers at Lake Superior Hospice and UP Home Health and Hospice about the problem. They agreed. They all wanted to help. They set up a nonprofit organization. They got legal help from attorney Wim McDonald. Then they gathered more support from businesses, groups, and foundations to raise money for an actual hospice. A home in Marquette. A place to live in peace. Eventually, almost 700 people joined the crusade. And now five years later, they’ve succeeded. They’ve raised about two million dollars and they’re ready to build on a four and a half acre plot of land in a nature preserve not far from Econo Foods. It’s called Trillium House. Patients will look out their windows at nature. Support for them will be nearby. Politicians in Washington DC and Lansing could learn a thing or two from Trillium House. MUNISING CONTINUES TO build its reputation as a mecca for mountain bikers. With help from the DNR Trust Fund, it’s building a trailhead on M-28 just south of the Hillside Party Store. The trailhead will include parking and restrooms, and especially important, 1.2 miles of a trail loop that’ll be accessible for those in hand cycles. It’s wider than normal tracks. It may be the first such track in Michigan, and one of just a few, at most, in the nation. The new track will tie in to a huge network of other biking trails in Alger County. 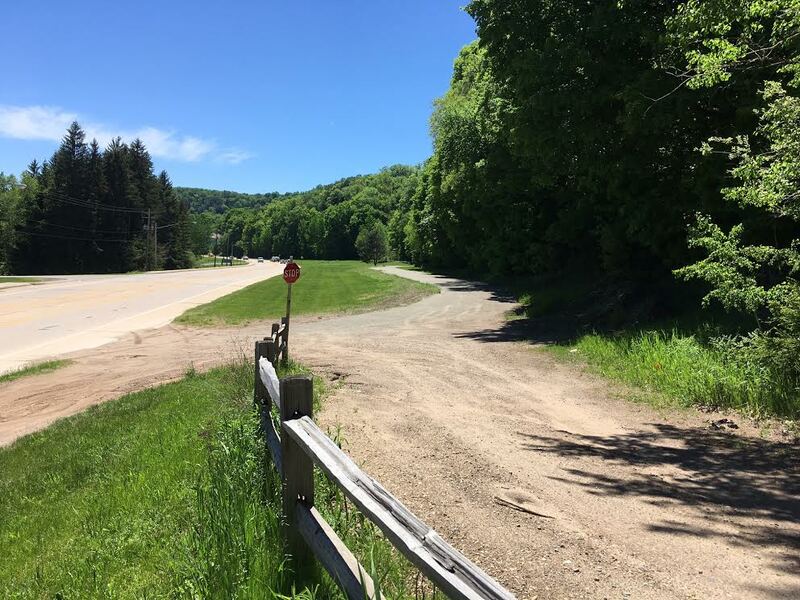 Local bikers say when it’s completed, the system will rival Brockway Mountain’s trails in Copper Harbor. THE GROVE AND Root 41 both closed down on US-41, south of Marquette, so maybe that location wasn’t ideal for a restaurant. So how about a pre-school and child care facility instead? That’s what schoolteacher Sue Ridolphi and her husband Dave thought. 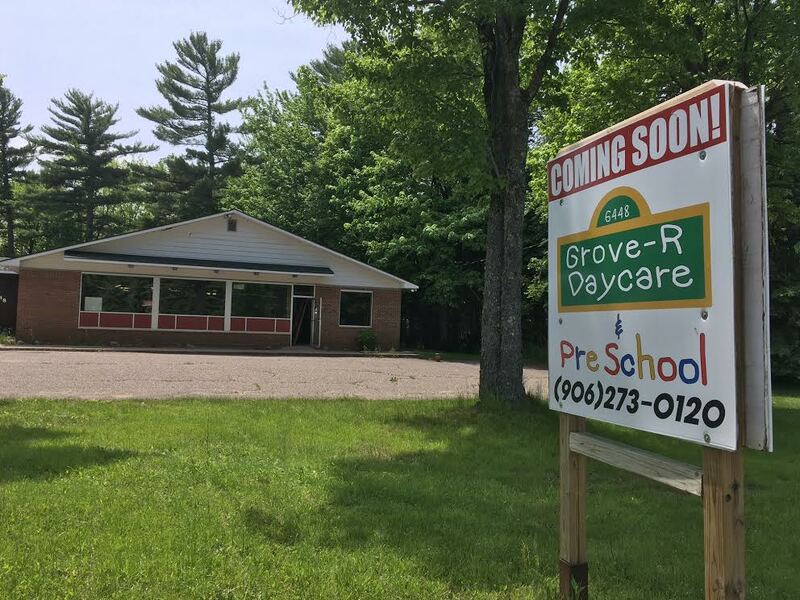 They’ll be opening up Grove-R Daycare and Preschool later this summer. Dave’s doing the remodeling. Six employees are ready to go. They’ll have room for up to 55 children, including infants and some latchkey kids. Sue’s gotten interest already. She’ll be holding an open house and sign-up, likely within a month. IT WORKED WELL once, so why not try it again? 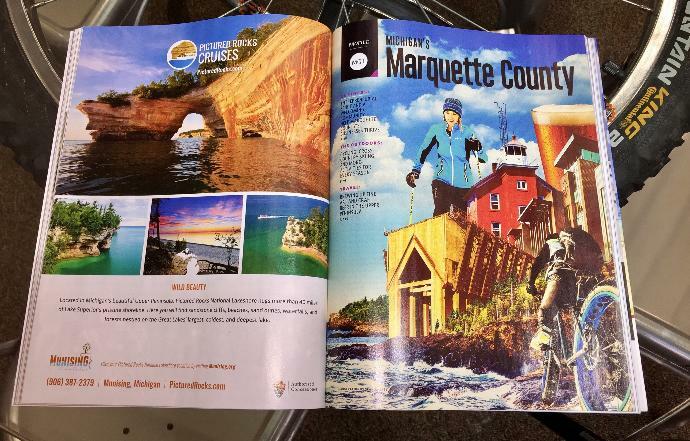 We’re talking about Delta Sky Magazine which, you might recall, published a 30-plus page feature on Marquette last December. Marquette looked and sounded beautiful and the magazine sold a ton of local ads. So. Delta Sky is doing it again for this December’s issue, only this time, the feature will cover the entire Upper Peninsula. From the Soo to Ironwood. Another showcase. Another six million readers. We’re no longer low-profile and undiscovered, although we are still occasionally left off maps of the United States.